Our meeting life is full of community, service, friendship and fun. Members of our meeting gather for meals, in worship and community with inmates at Sing Sing, in small discussion groups, and committee meetings. Like all meetings in the New York Yearly Meeting we collectively write an annual State of the Meeting Report. We have two meeting retreats each year, once at Powell House and once at home. We have a meeting traditions like First Day School's annual gingerbread decorating and sharing. 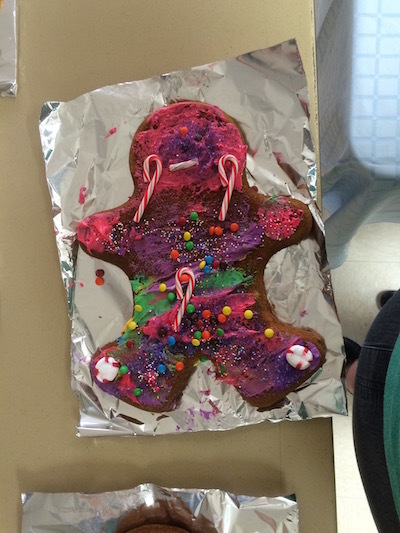 The First Day School creates gingerbread for the rest of the meeting to admire and eat!